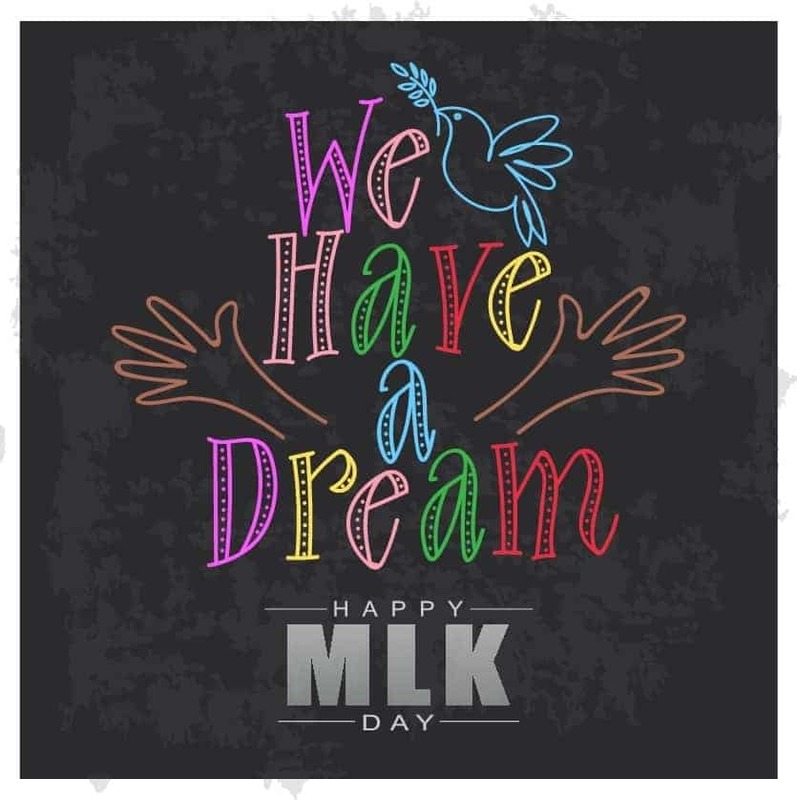 Martin Luther King Jr Day Songs for preschoolers through second grade. Once there was a gentleman who talked about the promise man. He had a dream that everybody ought to hear the bells of freedom ring. Now the people shout and sing about the dream of MLK. Sing about the dream of MLK. Ohh the dream, the dream of MLK. In his dream, he saw the people of this land walking side by side white man, black man, red man, yellow man loving one another with pride. Now he’s gone away before the day his dream became a real thing. But he’ll hear the angels sing about the dream of MLK. Oh the dream, the dream about MLK. He was a man who loved peace and he found a faith and believe. He preached that violence was wrong. And knew the fight would be long. He talked about a new day but he walked a dangerous way. He knew the life of a slum but he sang we shall overcome. Oh the dream, the dream of MLK. Let us dance, let us sing. In praise of Martin Luther King. A man of peace who stood up tall. He worked for fairness for us all. We must be kind to one another, Because he said, ‘All men are brothers.” So let us try as we dance and sing, To be like Martin Luther King. Dr. King Dr. King, he had a dream!